Have a kid who is acting out and out of control? 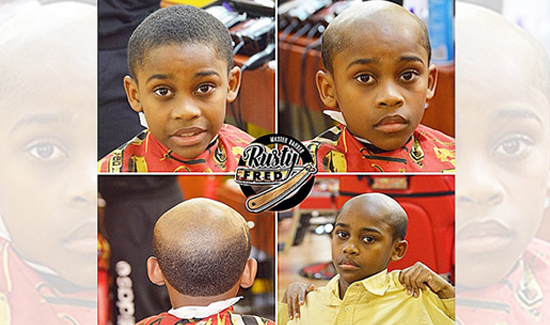 Three days a week, a Snellville, Georgia, barbershop offers a free haircut called the “Benjamin Button Special,” that’ll make your misbehaving child resemble a senior citizen. According to a report from CBS46/WGLC—a picture of the cut was posted to Instagram by Russell Fredrick, who owns A-1 Kutz in Snellville and goes by the name Master Barber Rusty Fred on the social site.